In today’s episode with Renée Suzanne we had a delicious conversation about dating, especially online dating, plus we shared some practical tools to use whenever we feel like giving up on our dating life because we feel something is “wrong” with us if we see zero or minimum positive results. Renée became a single mom at the age of 28 with 4 young kids. If you are a single mom with little ones, you will resonate with us today. In this episode, Renée shares with us her story of how she tried everything when it came to finding love, read all the books available to her, and even did some magic with vision boards, lighting candles, and magical rose bath rituals to attract her ideal partner. After trying all of these approaches,, she didn’t get the results she was looking for… UNTIL she learned HOW TO DATE MORE EFFECTIVELY to get the results she desired, and that was the key to finding her ideal partner and even marrying him! Today, we cover how important it is to set an intention, and to not rely solely on that by staying in dormant mode. Instead, to actually take action to create momentum, measure the results of the actions taken, and take full responsibility for them; this right here is true power, self responsibility. My friend, if you know me, you know that I talk about radical self responsibility being the key for success in all areas of our life, especially relationships. Back to the show, we also address how important it is to stay consistent and persistent with our desires, especially on this topic, with our desire to find our ideal partner. Because once you have that engine warmed up and running (momentum), you want to keep it going and NOT press the brakes with sabotaging thoughts and actions. 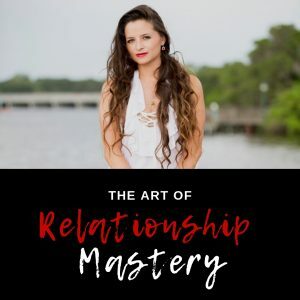 With momentum and constant monitoring of our actions and results, we learn to make the proper tweaks needed for us to attract that ideal partner. This can be represented as tweaking your dating profile online, or the way you introduce yourself to prospective partners. We also addressed how important it is to do your inner work, to get to know your true authentic self; from this place you can actually vision, desire, and create the relationships with the partners that are meant for you, so you can be in your greatest potential and bliss. For more yumminess, tune into today’s episode, take notes, send us questions, and share it with your friends.